This has become an all time favorite salad in our house lately. 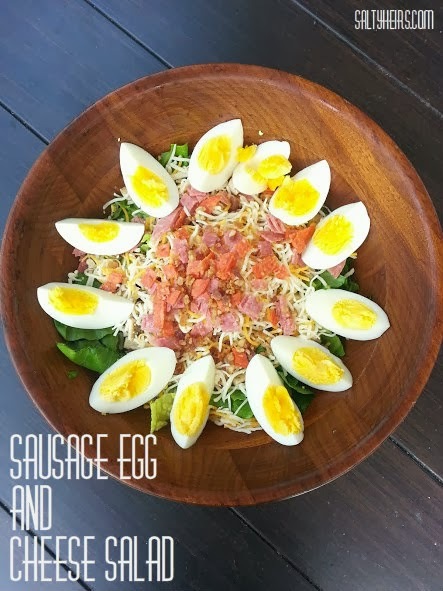 Although not what you normally think of when you say Sausage Egg and Cheese, this salad combines them all together for a splendid twist. As Always: If you want less or more of anything in the ingredients, for all means adjust. Sometimes I am in a meat mood and I need lots.